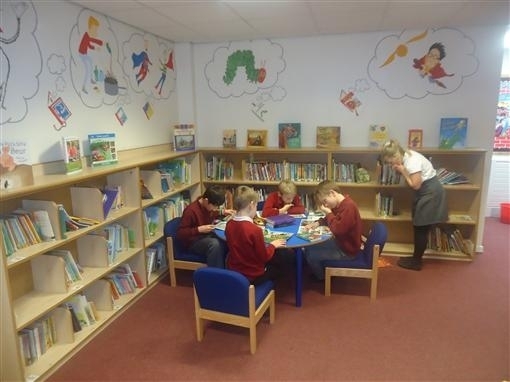 Our library is an accessible and special area, set apart from classrooms with a friendly atmosphere, modern furniture and a selection of fiction and non-fiction books aimed to support reading for learning and reading for pleasure. The library is well stocked and maintained manually by the library and literacy coordinators and class teachers. 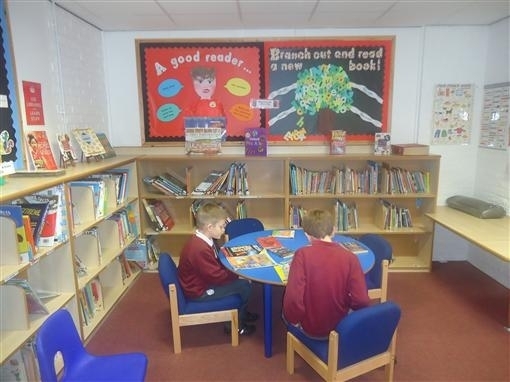 At Primrose Lane Primary School we recognise the purpose of a library is to encourage personal, pleasurable reading and develop research skills to support lifelong learning and a love of reading. 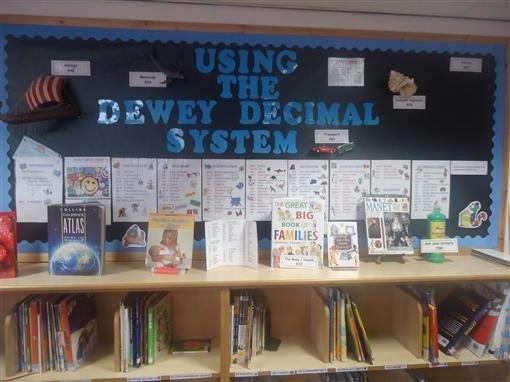 Our Library Monitors do a wonderful job in the upkeep of the library and take great pride in their role. 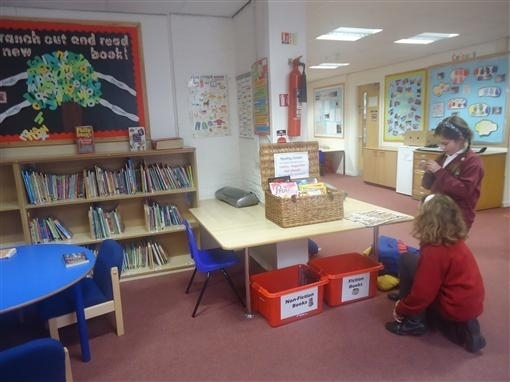 We have a special reading hamper in our library and this term our theme is comics, magazines and annuals.